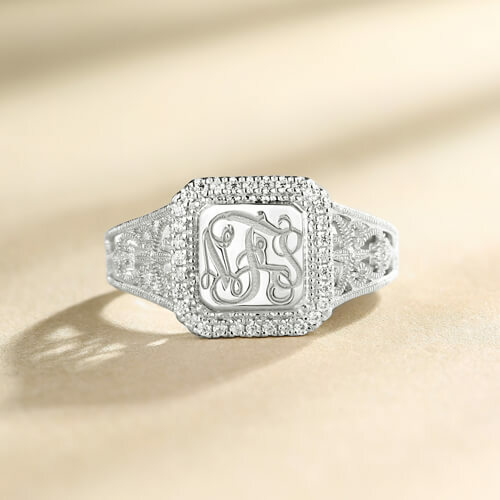 Surprise a special someone with the charming good looks of this customized ring. 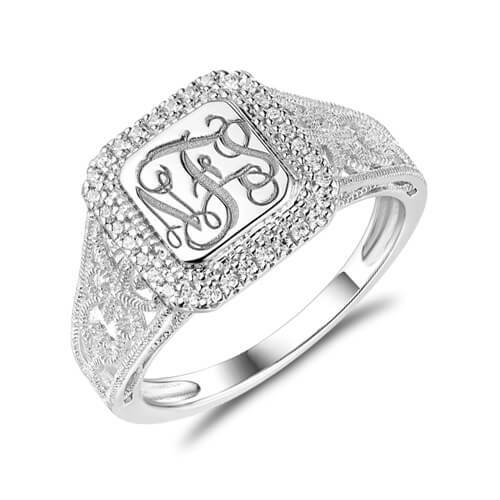 Fashioned in sterling silver, this tasteful choice is centered with a dainty square-shaped design, edged in exquisite lace design detailing and featuring the 3 initials you select inscribed in a classical Monogram font. In the fringe of square-shaped glitter of cubic zirconias. 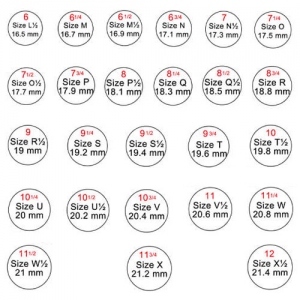 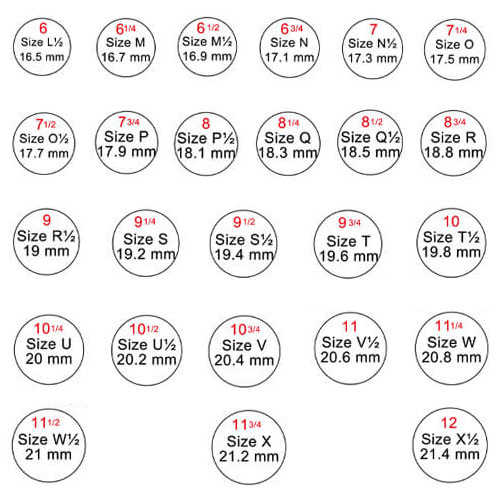 When you wear this shining ring will looks more attractive.the Polished to a bright shine, sure to be cherished ring is destined to excite and delight.This personalized monogram ring perfect to give yourself as a gift, or to someone special to you. 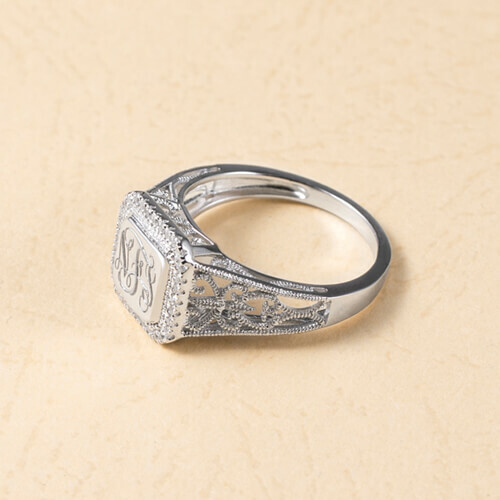 It is also a great keepsake for wedding, anniversary, suitable for any occasion.